Our mobile veterinary clinic is the only one of it's kind in mid-michigan! We love being able to care for your pet in a more stress- free and fear- free environment. 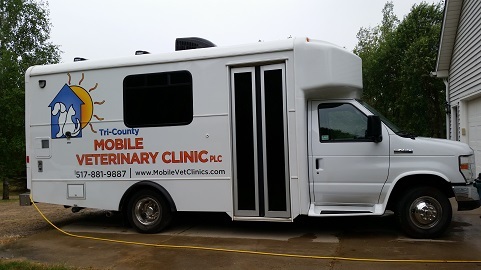 Our mobile clinic comes to you, complete with our veterinarian, a trained assistant, and everything that is needed to keep your pet healthy. Our team is knowledgeable and friendly. We are affordable and can provide cost estimates and treatment options. And we always put your pet's best interest first. 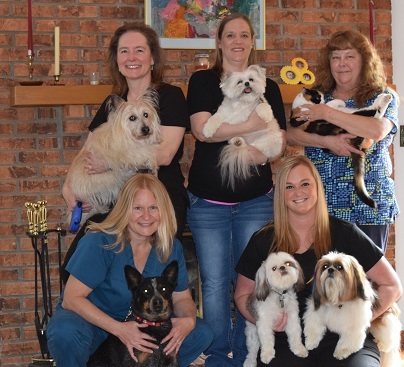 Our veterinarians, Dr. Lori Themel and Dr. Vicki Miksicek, have over 25 years experience of excellent pet care. They have made the list of top veterinarians in Lansing for 2 years in a row! Tri-County Mobile Veterinary Clinic provides veterinary care in the Michigan counties of Clinton, Eaton, Ingham, Livingston and Shiawassee. We are committed to preventive medicine. Our services and facilities are designed to provide top notch preventive care for your young puppy or kitten, early detection and treatment of diseases as your pet ages, improvement in quality of life in our seniors, and end of life care. Our goal is to keep your pets healthy and happy. Our entire healthcare team is committed to providing personal attention to the unique concerns of each indivicual pet and pet guardian, with an emphasis on education. Thank you for taking the time to read about our veterinary practice and the services we offer. We welcome your comments and suggestions. Please contact us at (517)881-9887 for all your pet health care needs. ...and don't forget to check us on facebook for important updates and specials.